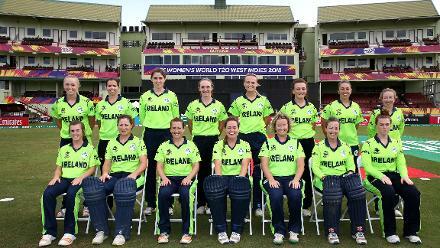 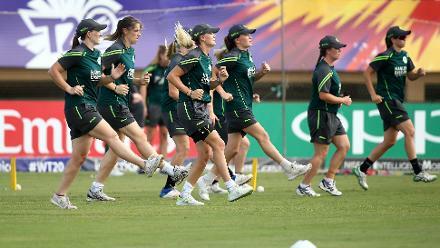 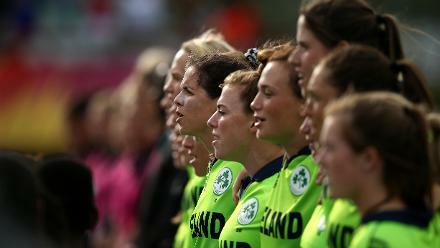 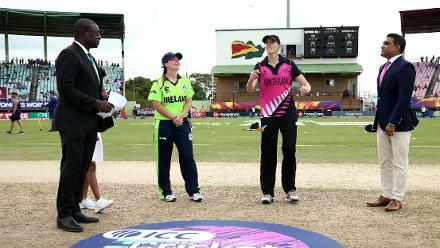 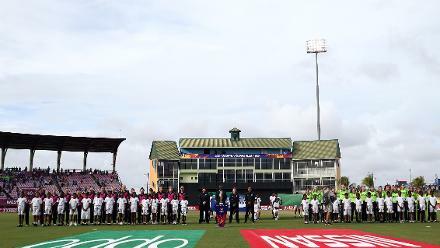 Ireland players sing their national anthem during the ICC Women's World T20 2018 match between New Zealand and Ireland at Guyana National Stadium on November 17, 2018 in Providence, Guyana. 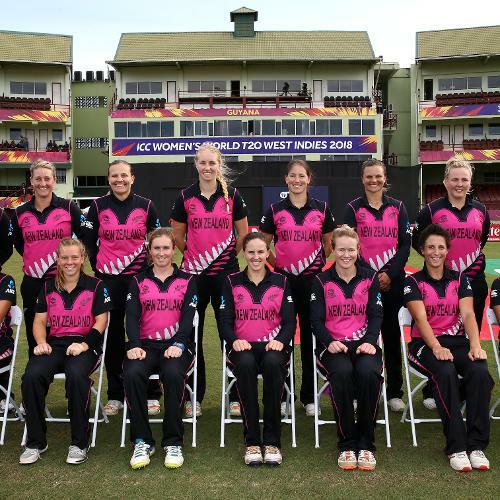 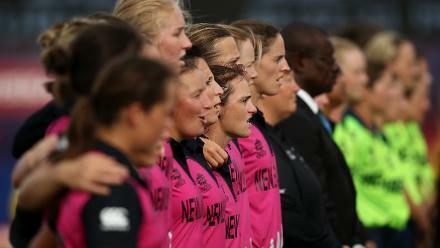 New Zealand players sing their national anthem during the ICC Women's World T20 2018 match between New Zealand and Ireland at Guyana National Stadium on November 17, 2018 in Providence, Guyana. 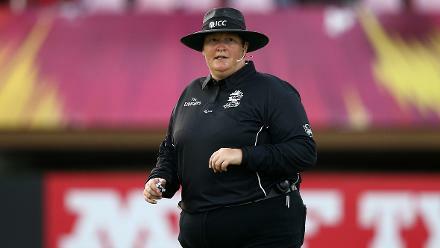 Umpire Sue Redfern during the ICC Women's World T20 2018 match between New Zealand and Ireland at Guyana National Stadium on November 17, 2018 in Providence, Guyana. 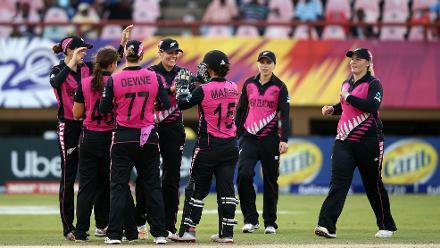 Katey Martin, wicket keeper of New Zealand celebrates a stumping with team mates during the ICC Women's World T20 2018 match between New Zealand and Ireland at Guyana National Stadium on November 17, 2018 in Providence, Guyana. 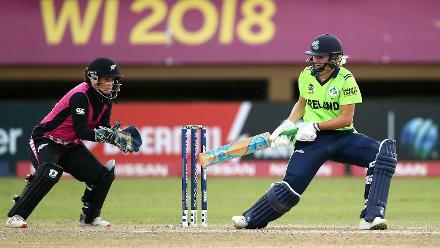 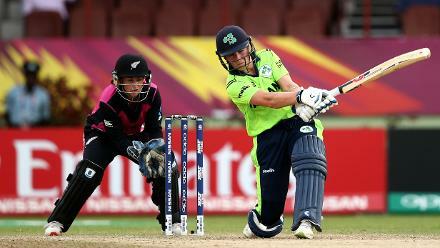 Mary Waldron of Ireland bats with Katey Martin of New Zealand behind the stumps during the ICC Women's World T20 2018 match between New Zealand and Ireland at Guyana National Stadium on November 17, 2018 in Providence, Guyana. 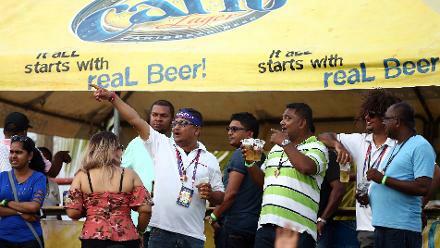 Fans enjoy the atmosphere during the ICC Women's World T20 2018 match between New Zealand and Ireland at Guyana National Stadium on November 17, 2018 in Providence, Guyana. 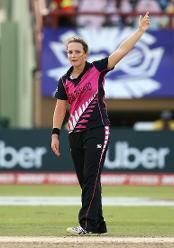 Amelia Kerr of New Zealand celebrates a wicket during the ICC Women's World T20 2018 match between New Zealand and Ireland at Guyana National Stadium on November 17, 2018 in Providence, Guyana. 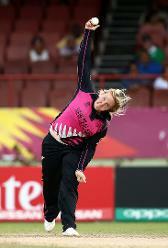 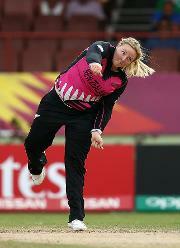 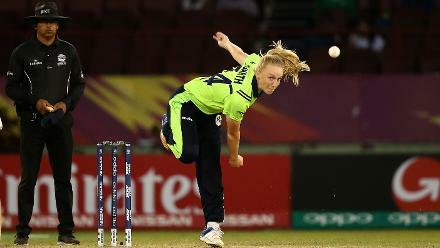 Kim Garth of Ireland bowls during the ICC Women's World T20 2018 match between New Zealand and Ireland at Guyana National Stadium on November 17, 2018 in Providence, Guyana. 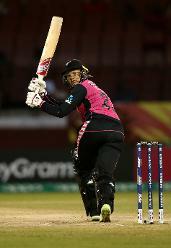 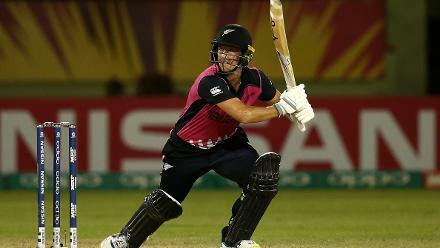 Suzie Bates of New Zealand bats during the ICC Women's World T20 2018 match between New Zealand and Ireland at Guyana National Stadium on November 17, 2018 in Providence, Guyana. 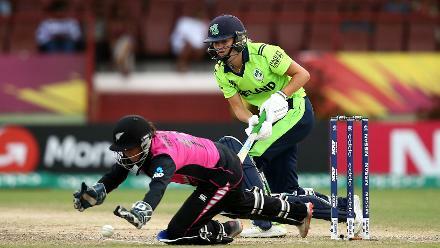 Sophie Devine of New Zealand bats during the ICC Women's World T20 2018 match between New Zealand and Ireland at Guyana National Stadium on November 17, 2018 in Providence, Guyana. 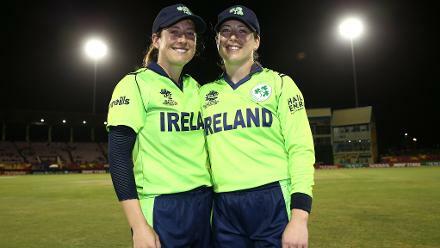 Isobel Joyce and Cecelia Joyce pose following the announcement of their retirement during the ICC Women's World T20 2018 match between New Zealand and Ireland at Guyana National Stadium on November 17, 2018 in Providence, Guyana. 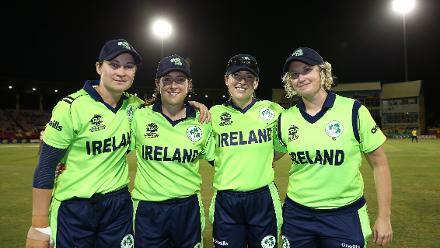 Clare Shillington, Isobel Joyce, Cecelia Joyce and Ciara Metcalfe pose following the announcement of their retirement during the ICC Women's World T20 2018 match between New Zealand and Ireland at Guyana National Stadium on November 17, 2018. 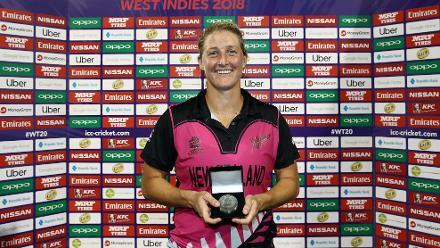 Sophie Devine of New Zealand pose with her player of the match award during the ICC Women's World T20 2018 match between New Zealand and Ireland at Guyana National Stadium on November 17, 2018 in Providence, Guyana.